An effective NMDA antagonist imaging model may find key utility in advancing schizophrenia drug discovery research. We investigated effects of subchronic treatment with the NMDA antagonist memantine by using behavioural observation and multimodal MRI. Pharmacological MRI (phMRI) was used to map the neuroanatomical binding sites of memantine after acute and subchronic treatment. Resting state fMRI (rs-fMRI) and diffusion MRI were used to study the changes in functional connectivity (FC) and ultra-structural tissue integrity before and after subchronic memantine treatment. Further corroborating behavioural evidences were documented. Dose-dependent phMRI activation was observed in the prelimbic cortex following acute doses of memantine. Subchronic treatment revealed significant effects in the hippocampus, cingulate, prelimbic and retrosplenial cortices. Decreases in FC amongst the hippocampal and frontal cortical structures (prelimbic, cingulate) were apparent through rs-fMRI investigation, indicating a loss of connectivity. Diffusion kurtosis MRI showed decreases in fractional anisotropy and mean diffusivity changes, suggesting ultra-structural changes in the hippocampus and cingulate cortex. 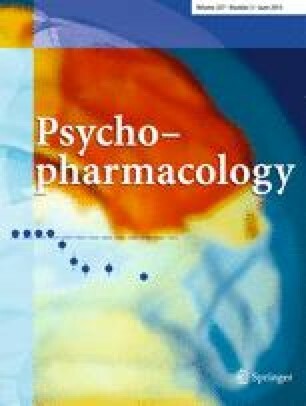 Limited behavioural assessment suggested that memantine induced behavioural effects comparable to other NMDA antagonists as measured by locomotor hyperactivity and that the effects could be reversed by antipsychotic drugs. Our findings substantiate the hypothesis that repeated NMDA receptor blockade with nonspecific, noncompetitive NMDA antagonists may lead to functional and ultra-structural alterations, particularly in the hippocampus and cingulate cortex. These changes may underlie the behavioural effects. Furthermore, the present findings underscore the utility and the translational potential of multimodal MR imaging and acute/subchronic memantine model in the search for novel disease-modifying treatments for schizophrenia. The online version of this article (doi: 10.1007/s00213-013-2966-3) contains supplementary material, which is available to authorized users. The authors are grateful for the financial support of Janssen Research & Development, Beerse, Belgium (Postdoctoral fellowship of Dr. Sekar). The research leading to these results has received funding from the European Union's Seventh Framework Programme (FP7/2007-2013) under grant agreement no. HEALTH-F2-2011-278850 (INMiND). Prof. Van der Linden and Prof. Dedeurwaerdere received funds from Fonds Wetenschappelijk Onderzoek Vlaanderen (FWO) (G.0586.12). Contributions of Mrs. Hilde Duytschaever, Mr. Patrick De Haes and Mr. Michel Mahieu, Mrs. Sofie Embrechts and Mrs. Liesbeth Mertens from Neuroscience Discovery, Janssen Research and Development for their support with the subchronic treatments and in generating the locomotor activity data are acknowledged. Results from this multimodal imaging study have been presented in part as abstracts at conferences including FlandersBio (2011), CINP Pacific Asia meet (2011), EMIM (2011) and WMIC (2011).